Euro continues moving upwards. We think, today price may form consolidation channel, leave it upwards, and then continue growing up to reach level of 1.3940. 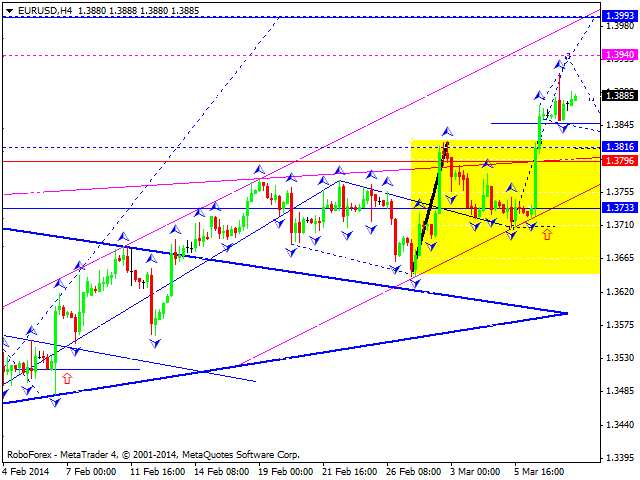 Later, in our opinion, instrument may fall down towards level of 1.3830 and then move upwards again to reach level of 1.3990. Pound continues growing up slowly. 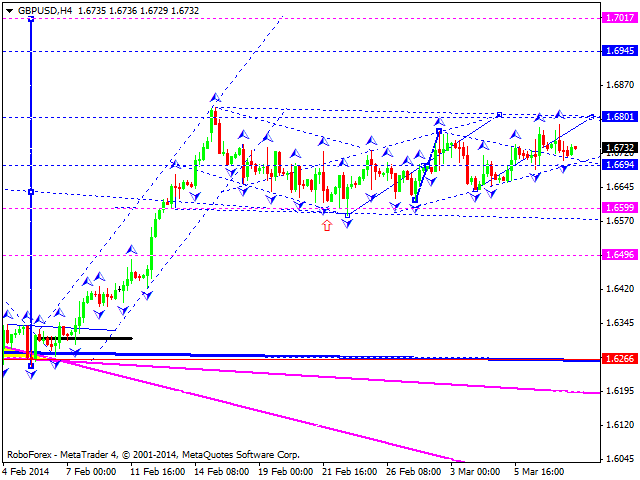 We think, today price may reach level of 1.6800. Later, in our opinion, instrument may fall down towards level of 1.6700 and then continue growing up towards target at level of 1.7000. Franc continues falling down. We think, today price may reach target at 0.8730, consolidate for a while, and then continue moving downwards to reach level of 0.8300. 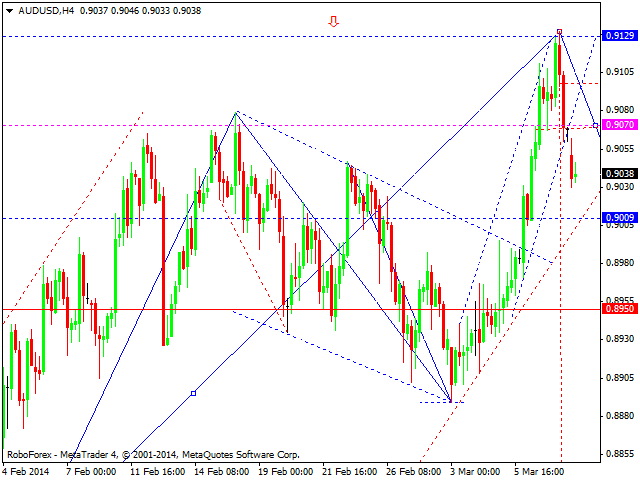 Australian Dollar reached target of its ascending structure. 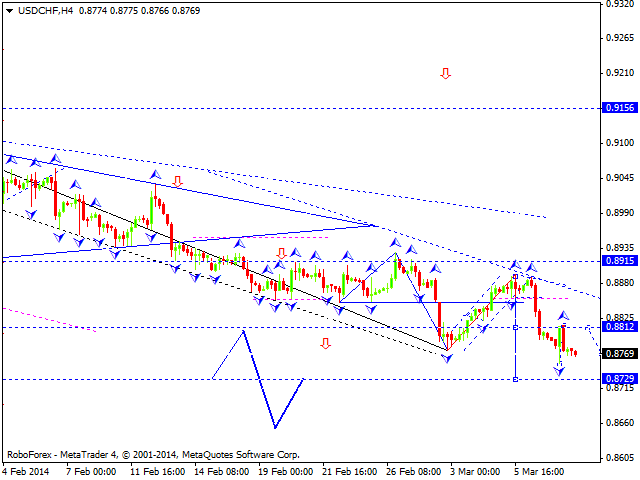 We think, today price may form reversal pattern to continue moving downwards to reach target at 0.8400. First target is at 0.8770. 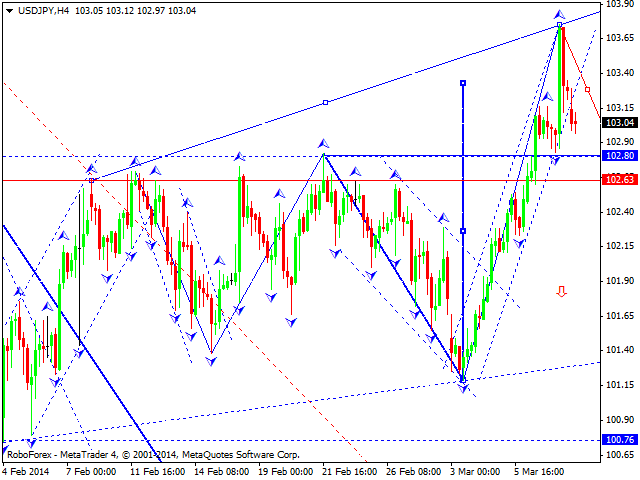 Ruble is still being corrected; market has already formed four waves. 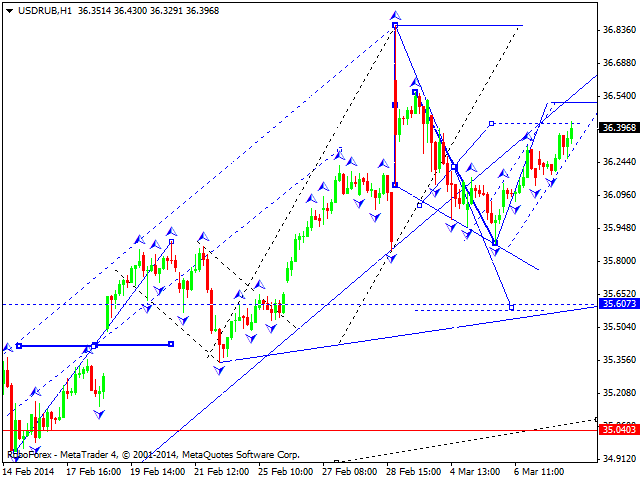 We think, today price may grow up towards level of 36.50 and then form the fifth wave with target at level of 35.60. Later, in our opinion, instrument may start another ascending movement to reach level of 37.60. Gold broke minimum of its consolidation channel again. 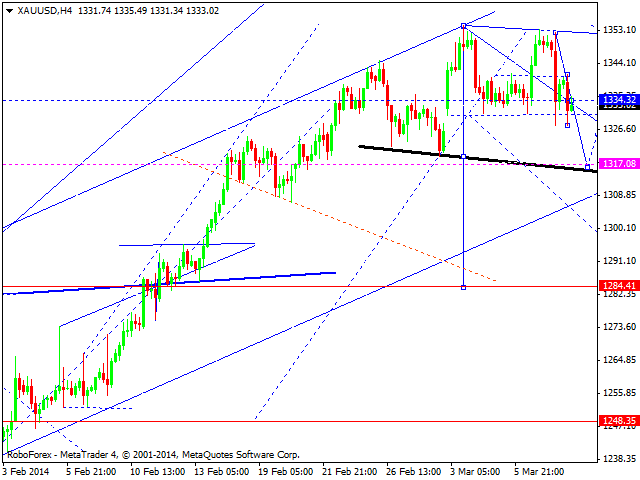 We think, today price may form continuation pattern, reach level of 1317.08, and then return to level of 1334. Later, in our opinion, instrument may start the fifth descending wave towards level of 1313.60.